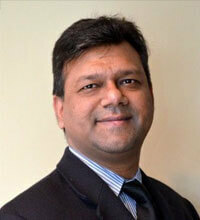 As the CEO, Rajiv drives Globtier’s worldwide business strategy, service innovation & project delivery. Under his leadership Globtier has become one of the fastest growing Managed IT solutions provider. Rajiv’s experience and knowledge in the industry and his unparalleled focus on quality, innovation, and R&D, ensures that Globtier delivers end-to-end solutions that helps build customer loyalty through increased levels of service and improved quality of outputs. As a COO of Globtier, Varun is responsible for operations, customer satisfaction, revenue growth and other development initiatives. Varun has demonstrated passion and unparalleled foresight in the areas of Strategic Marketing, Customer Experience Management, Product Development, Brand Marketing, and E-Commerce. It is rare for an analytical mind to also have a creative side, yet he has demonstrated a sense of design and understanding of how to consistently convey a brand image or message in the execution of all elements of the customer experience. Varun is also President of Tek Data & Sr. Vice President of Harken Data (other companies within the Group). Prior to that, Varun was Managing Director for Bridge eSolutions and the CEO / Co-founder of YourParalegal Inc., delivering high quality online paralegal services to attorneys practicing law in the field of consumer credit counseling and bankruptcy. 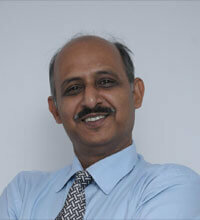 Varun has more than 23 years of experience in the IT industry. He has worked at Bell Labs and few other large corporations during the beginning of his career. He has done his B.S. in Business and has taken Executive Management Programs from Harvard Business School. Raj Rustagi as the CIO of Globtier, is responsible for the long-term growth strategy for the firm, and overall technology management for the firm’s clients. Raj brings over 20 years of business intelligence expertise and 12+ years of senior management experience to the company. Raj is a recognized author in the business intelligence and Big Data space and contributes regularly to TDWI’s BI Journal and SQL Blogs. 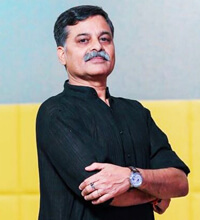 An entrepreneur since 1989, Prior to founding Harken Data, Raj has run several consulting companies and led various data warehousing projects in the BFSI sector. Raj has also consulted for marquee clients like CitiBank, Deutsche Bank, D&B, Merill Lynch, Key Bank, JPMC and worked as a leading information systems analyst at AT&T Corporation. Raj holds a BS in Industrial Engineering and has completed MS in Computer Science studies from New Jersey Institute of Technology, Newark, NJ. 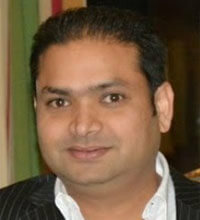 Raj also has a certificate in Data Analytics from Cornell University. Manoj brings to Globtier 38 years of all-round experience in building new businesses and transforming legacy businesses. Prior to joining the board of Globtier he got retired as Vice President from Tata Technologies since then working as freelancer / Advisor / Consultant. 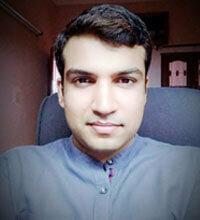 His core expertise lies in the fields of IT consulting, Marketing & HR project based consulting assignments. Promoter Director, Prashaste Channelworx Pvt Ltd, Bangalore. The company is developing product for working capital optimization & improving profitability of automotive dealership operations. Director, Exponential Solutions & Consultancy Services, Mumbai Primary role is to mentor the directors and help the company grow professionally. 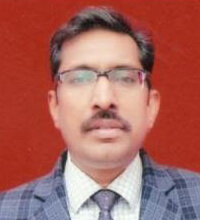 Dipak Dabral, An IT professional with a total work experience of more than 22 years in the IT Industry, holds a Degree in Mathematics, Project & Operation Management. 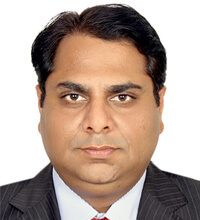 His Expertise in Automobiles/FMCG Dealer Business Management System (more than 25 projects and 10000 implementations), leadership skills, Project & People management abilities, experience, and insights into local businesses have enabled him to contribute significantly to Company’s development into one of the most dynamic organization in the System Development, Testing, Training, Implementation and Application & Infra Support Services. A seasoned marketing professional with a total work experience of 19 years in the service Industry. Holds a Master’s Degree in Business Management. His leadership skills, people management abilities, experience, and insights into local and international businesses have enabled him to contribute significantly to the Globtier’s development into one of the most dynamic organization in the Managed IT Service industry. He has been a key player in driving the groups’ growth. He is responsible for identifying growth engines, building new service offerings, business development & marketing. Denis spent the previous decade & a half building sales competencies & marketing plans for Telecom Companies with proven track record of helping organizations grow revenues through sales, marketing and customer engagement. His unique journey and insatiable desire to learn has allowed him to cultivate a wide range of experience in various industries. From marketing and sales in telecom, hospitality and travel, Denis is always interested in exploring new challenges. Abhishek, being an enthusiastic professional with 12+years of experience in post Software Development life cycle including Application Implementation and roll out Planning, Client Site Training, Post Roll out Support, Process Consulting, MIS coordination along with National and International Recruitment experience involving all the stages of recruitment life cycle including requirement gathering, requirement analysis, sourcing and hiring along with IT Managed services. Have overall functional experience in IT/ITES in the domain of Application Roll out & Training, Recruitment support and Client Relationship. Have been successfully managing IT services(SLA Based) through Wipro for Thomas Cook, TPCL, ADBG, Mahindra & Mahindra, Suzlon and Shopper Stop. Successful managed Automobile & FMCG roll out projects for 14 OEM’s (Giants like Hero Motors Corp, John Deere, M&M, Daimler India Commercial Vehicle, VECV, Colgate, Parle Agro etc) having 6000+Roll-Out sites, Training & Support across India. Seasoned IT professional Puneet Vadhera offers 21+ years of extensive experience across Programme & Project Management, Client Mapping, Onsite Transitions, New Project Structuring & Execution, Client & Vendor management and Team Management. He has more than 17 years of TCS experience with him. 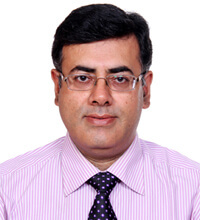 Also, he is equipped with Master of Application (MCA) degree, PGDMM from IGNOU & Bachelor of Science (B. SC. ), having strong educational background. He has worked on various positions from Team Lead to Group Leader. Currently, in Globtier he is delivery manager / head for various accounts and also involve in growth of new business. His expertise in dual functions of end to end implementation and thereafter production support of customized solutions for Bespoke applications (Portal, messaging applications, Customize ERP etc.) as well Infrastructure, and datacenter support, has earned him recognition as a coherent professional. Business/ Project Analyst with 6+ years of Experience in IT & organisational evaluation. Committed to conducting in-depth evaluations, designing procedures, and simplifying work. Expert in assisting management in running an efficient and effective organization. Experience in various business settings with management teams of various backgrounds along with hands-on Software development experience. Determined leader with demonstrated excellence in encouraging collaboration. Dedicated professional seeking to help businesses improve operations. Excellent at assessing the performance of organisations and individuals to take corrective action or make improvements. Extensive knowledge in resource allocation, strategic planning, human resources modelling, production methods, leadership techniques, and coordinating resources. Quality Control Manager with 5+ years of management work experience. Knowledge of quality assurance activities including audits recommending and implementing corrective actions providing accurate documentation of statistical reports and ensuring overall compliance. Demonstrated excellence in communication skills with various levels of management.